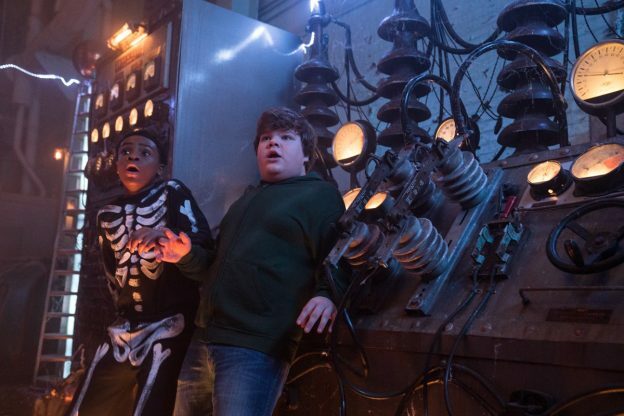 Sony Pictures Entertainment has released another Goosebumps 2 trailer, but this one spoils a major cameo from the sequel. Watch it below AT YOUR OWN RISK. 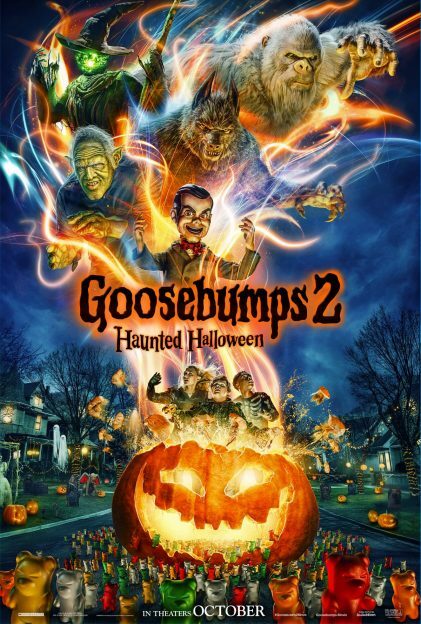 Officially called Goosebumps 2: Haunted Halloween, the new film takes place in Wardenclyffe, a small town where R.L. Stine (Jack Black in the first movie) used to live. As it turns out, Stine left perhaps his most dangerous Goosebumps manuscript in his since-abandoned house there – as two young friends named Sonny (Jeremy Ray Taylor) and Sam (Caleel Harris) learn the hard way, after they open Stine’s enchanted manuscript and inadvertently unleash a whole lot of spooky creatures into our world. 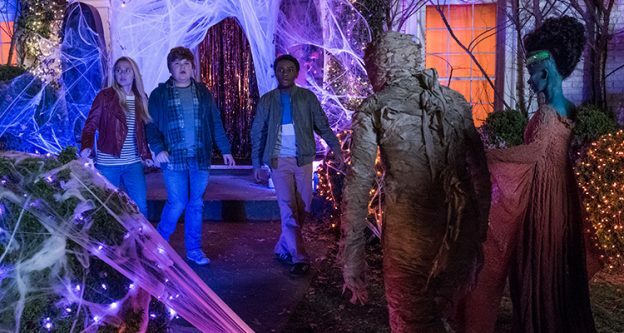 While Black was originally expected to return for Goosebumps 2, that ultimately ended up not happening after the sequel went through a series of writer, director and release date changes.